The Hunter College TESOL program is now accepting applications for our summer study abroad program in Costa Rica! The application deadline is coming up fast, so if you are interested please get in touch with us. 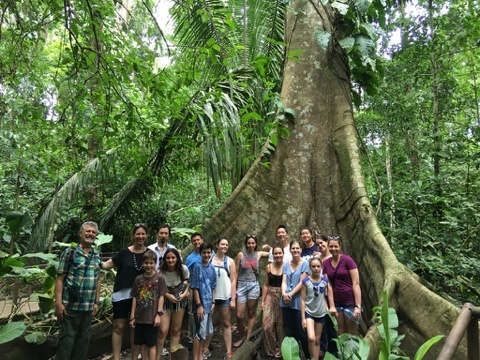 In Costa Rica, students will embark on a service trip to learn about English teaching in local public schools and gain insight into Afro-Caribbean and indigenous culture, politics, education and natural ecology. You will visit local schools, receive high quality intensive Spanish language instruction, attend lectures on a range of topics, and bond with your classmates on exciting excursions. For more information contact Dr. Timothy Farnsworth at tfarnswo@hunter.cuny.edu, and /or read about it on the application portal.